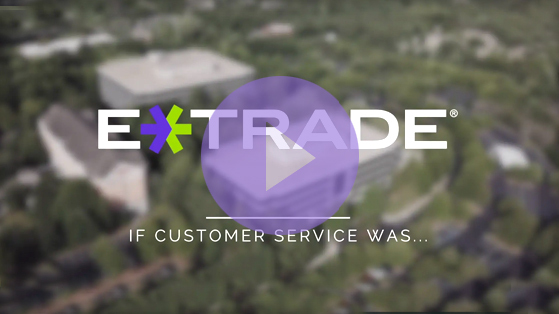 E*TRADE is a leading financial services company and a pioneer in the online brokerage industry. Having executed the first-ever electronic trade by an individual investor more than 30 years ago, the company has long been at the forefront of the digital revolution, offering easy-to-use solutions for individual investors and stock participants. Founded on the principle of innovation and determined to level the playing field for individual investors, E*TRADE delivers digital platforms, tools, and professional assistance to help investors and traders meet their near-and long-term investing goals. The Company provides these services both online and through its network of customer service representatives and financial consultants – over the phone at two national branches and in-person at 30 E*TRADE branches. The brokerage business includes all Product, Digital Channels, all Marketing, and the Company’s Corporate Services channel. As a young professional joining the brokerage business as an intern at E*TRADE, you will be presented with many opportunities to learn and play a role in representing E*TRADE as an industry-leading brokerage and bank. Whether learning about our exceptional customer service model, contributing to the research of new product offerings, or voicing individual ideas for communication and brand, you will be given the resources and tools to succeed. FinTech has become a disruptor in the industry. If you’re looking to get a foot in the door, we will provide you with all the support you need to be successful in your role. We look at our internship as a fun experience where you get to think creatively, do real impactful work, and build connections. Throughout the ten week internship, you will be integrated into a team and work on an exciting project. Interns in previous years have been engaged in high profile projects and helped impact both our technology capabilities and our customer experience. E*TRADE Financial offers a competitive and comprehensive benefits package. Please visit https://us.etrade.com/e/t/career/benefits to learn more. The brokerage business includes all Product, Digital Channels, all Marketing, and the Company’s Corporate Services channel. As a young professional joining the brokerage business as a new associate at E*TRADE, you will be presented with many opportunities to play an important role in representing E*TRADE as an industry-leading brokerage and bank. Whether providing exceptional customer service, producing sales, strategizing product offerings, or communicating and instilling our brand, you will be given the resources and tools to succeed. Our Associate Program offers a unique experience for recent graduates. We will provide a one-month in-depth training program with your peers to learn about E*TRADE’s business and infrastructure. Post the training program, you will join a team in your office location and be empowered to build new applications, tools and help improve our infrastructure. Our growth in recent years and our mission to offer a best in class experience to our customers, require that we invest in the latest and greatest technology. We welcome new grads who are passionate about disrupting the industry and seek to be at the forefront of the digital revolution.